The Mathilde hat and cowl are a subtly matched set that feature the same stitch pattern. 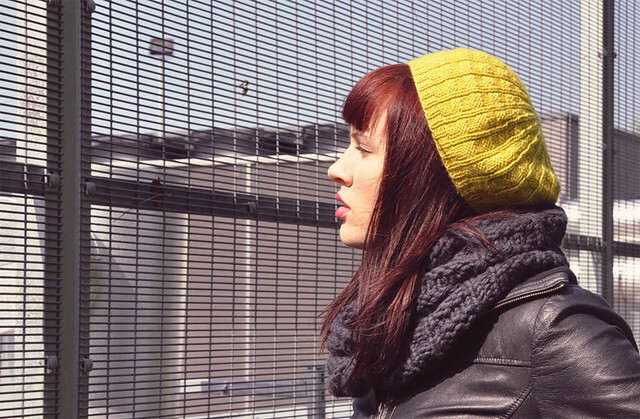 The Mathilde hat is a comfy beret style hat. The all over stitch pattern is pleasantly stretchy making it easy to tuck away your hair on windy days. The Mathilde cowl is an attractive textured cowl that will wrap twice around your neck and sit comfortably. The stitch pattern is attractive on both sides so you can throw it on and go with ease.